SF Sketchfest is only the bestest comedy festival in the country, right here in our very own backyard. Here’s your chance to win a pair of tickets to your choice of opening night shows. Sketchfest kicks of January 10th with over 250 shows spread across three weeks with some epic shows and tributes like Neil Patrick Harris, Carol Burnett, Best in Show, Kids in the Hall, Bob Odenkirk, Futurama, Schitt’s Creek and tons more. Explore the full festival lineup. James Adomian is a comedian and actor well known for his standup, characters and impressions including playing Bernie Sanders’ in “Trump vs. Bernie” as well as appearing on Comedy Central, Adult Swin and IFC’s Comedy Bang Bang. With supporting sets by Anthony Desamito, Atsuko Okatsuka and Chris Sandiford, hosted by Andrew Michaan. Sorry! 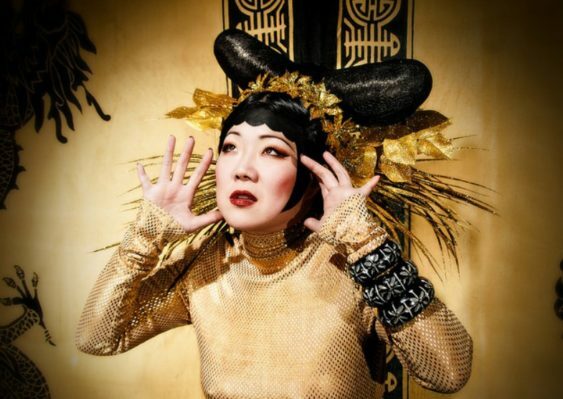 The contest for SF Sketchfest 2019 Opening Night w/ Margaret Cho has ended.